Stradun was utterly thrilled! Kids from Dubrovnik got an opportunity to grab the racket in their hands and take their chances against the tennis star and to serve him a few balls. Kids day is a part of Tennis Camp taking place from July 23 at Gospino Polje. There are 14 participants aged between 10 and 16. Eleven of them come from Dubrovnik, two from Russia and one from Germany. 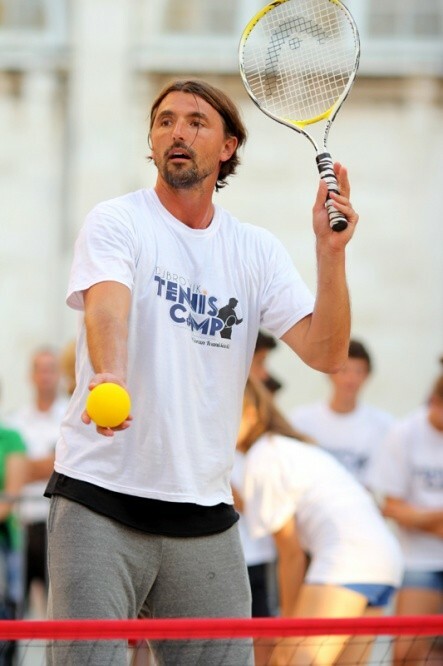 Goran Ivanišević Tennis Camp may become a significant sports event for young tennis players, especially because it will be held in the next 5 years and not only in summer. 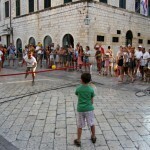 Goran’s project might also become a not to be missed part of tourist offer. It will involve young tennis players from all over the world. Depending on weather conditions, Ivanišević is considering to coach during Easter holidays and in winter as well. 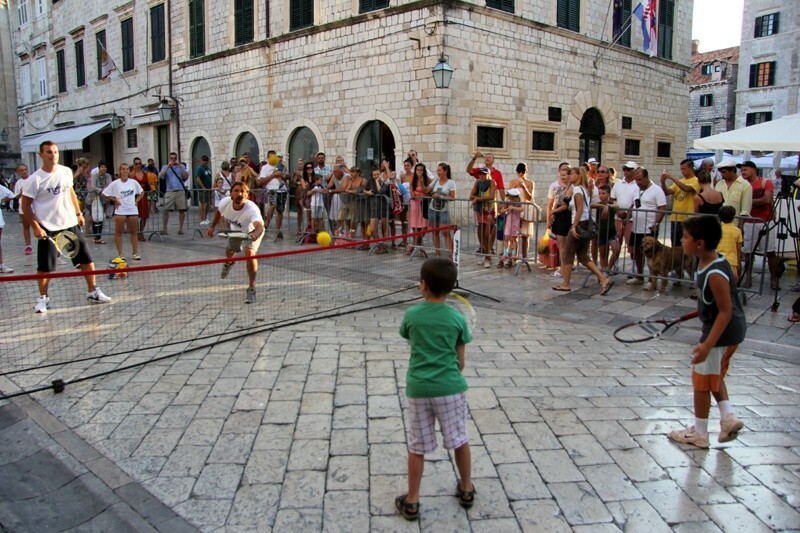 Beside project initiators, Pasko Barović and Roman Kristić, coaches in Ragusa Tennis Club, the project was also recognised by the City of Dubrovnik. For more photos visit website dulist.hr!